A key Iranian cyber war operative may have been killed in an “internal dispute,” cabinet minister and former Shin Bet intelligence chief Yaakov Peri said Thursday. Peri, the minister of science, was speaking on Israel Radio as Iran denied reports that Cyber War Headquarters commander Mojtaba Ahmadi, who was recently found dead northwest of Tehran, had been assassinated. 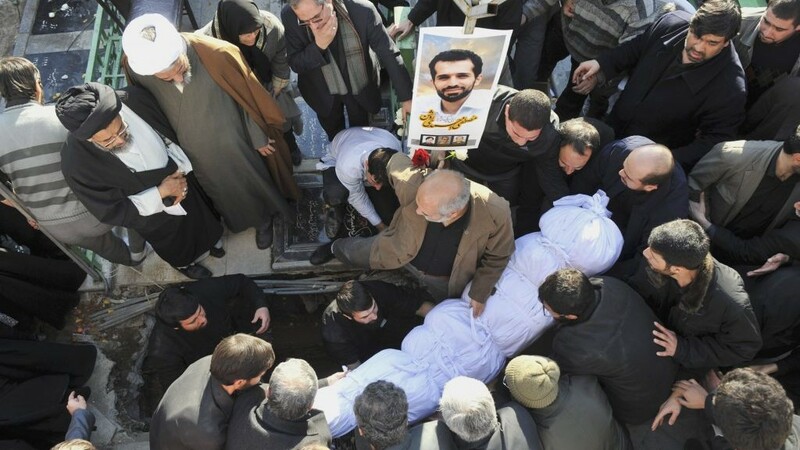 Iran’s Revolutionary Guards said he had died in a “horrific incident,” but ruled out assassination. “The main reason of the event and the motive of the attacker has not been specified,” added a Revolutionary Guards statement quoted by Reuters. On Wednesday, Britain’s Telegraph newspaper reported that Ahmadi had gone missing on Saturday, and that his body was discovered in a wooded area near the town of Karaj. He had been shot twice through the heart at close range by two people on a motorbike, the UK report said, quoting Alborz, a website linked to the Revolutionary Guards. “I could see two bullet wounds on his body and the extent of his injuries indicated that he had been assassinated from a close range with a pistol,” an eyewitness was quoted as telling the Iranian website. The timing of the killing, which came as Israel’s Prime Minister Benjamin Netanyahu battles what he says is Iran’s duplicitous outreach to the West over its rogue nuclear program, was “triggering further accusations that outside powers are carrying out targeted assassinations of key figures in the country’s security apparatus,” the Telegraph said. He also said that while the deaths of such figures can sometimes have an impact, “there are always replacements… And such acts do not always cause a slowing or a reduction” of the dangers posed by Iran. Curiously, in January 2012, the similarly named Mostafa Ahmadi-Roshan, an Iranian nuclear scientist and a director of the Natanz uranium enrichment facility in central Iran, was assassinated when a bomb was affixed to his car by two assailants on a motorbike in Tehran. The Iranian government has accused Israel of several recent assassinations, including that of Mostafa Ahmadi-Roshan and four other nuclear scientists, and the head of the country’s ballistic missiles program. On Tuesday, Prime Minister Benjamin Netanyahu vowed at the UN General Assembly that Israel would stop Iran’s nuclear drive on its own if necessary. “Israel will never acquiesce to nuclear arms in the hands of a rogue regime that repeatedly promises to wipe us out,” he said. Still, he stressed, he did not dismiss the diplomatic-sanctions route. “We all want to give diplomacy with Iran a chance to succeed,” he said. “Israel is upset to see that its sword has gone blunt and Iran grows more powerful day by day,” Rouhani told reporters in Tehran, according to the semi-official Fars News Agency.